The Mali Rose departing Penzance Harbour. 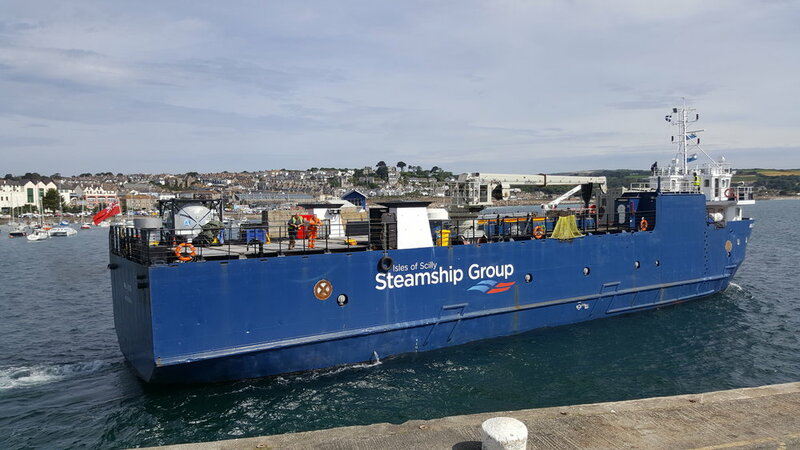 The next round of sea trials for the the Isles of Scilly Steamship Group’s freight ship, the Mali Rose, have taken place this week and it's "envisaged" she will sail to Scilly on a trial voyage next week. The sailing will be the vessel's first sailing to Scilly since she was involved in an incident last September in Penzance. The Isles of Scilly Steamship Group’s other freight vessel the Gry Maritha has been delivering freight to islands since then. In a statement the Isles of Scilly Steamship Group said: "Following preparations in Penzance in recent weeks, the vessel carried out a sea trial in the Mounts Bay area on Wednesday 11th April, and next week, it is envisaged she will sail to the Isles of Scilly on a trial voyage, as well as carrying out berthing, cargo and operational trials off the coast of Cornwall." We'll have more on the Mali Rose sea trials next week.